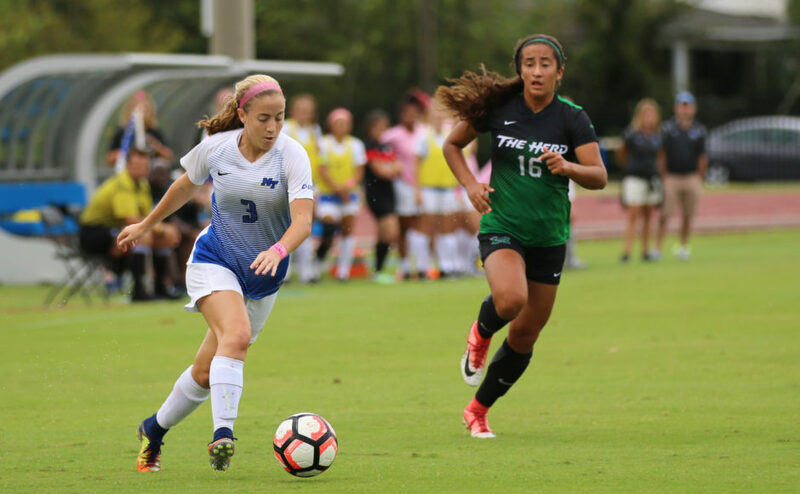 The Middle Tennessee State Blue Raiders (7-2-1) traveled to the University of Texas at El Paso on Sunday to pitch a shutout against the Miners, 3-0, in a big game from sophomore Peyton DePriest. DePriest scored all three goals today in the 28th, 77th and 80th minute. She was assisted twice by freshmen Hannah Tillet and once by junior Casey Riemer. This is the fifth shutout the Blue Raiders have completed this season and the first one against a Conference USA opponent. 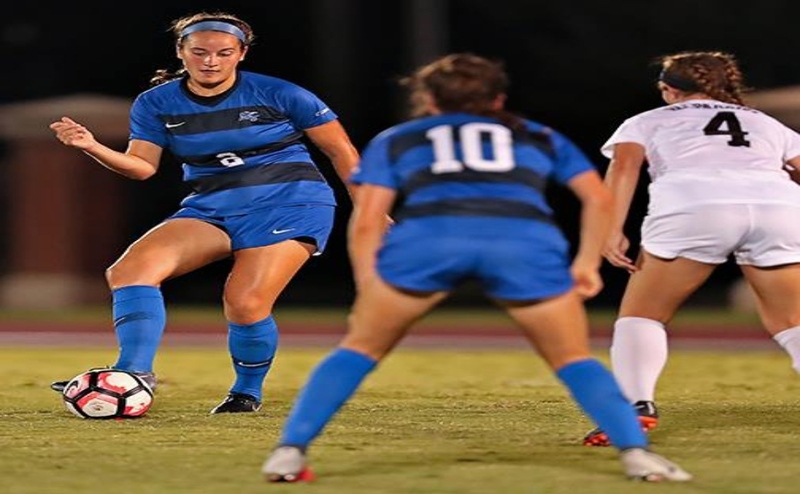 MTSU has been proving themselves as a great defensive team, especially at home since they have finished three shutouts at home and twice on the road. The Miners shot the ball 12 times but only had four shots on goal, and none of them could get passed senior goal keeper Celeste Barnard. 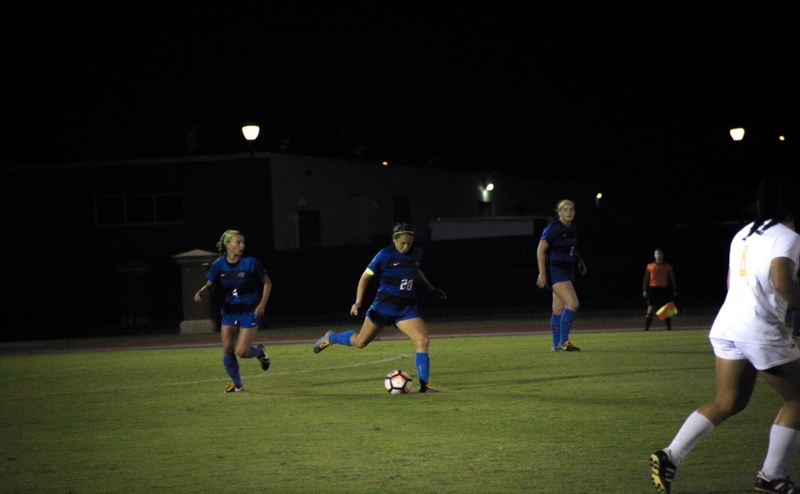 The Blue Raiders only allowed the Miners four corner opportunities and forced them into two offside penalties. Big performance by Peyton DePriest. DePriest has scored five goals in just two games after being out for a week and has seven total on the season. This is also DePriest’s first hat trick this season (three goals in a game) and it’s the Blue Raiders’ second since Tillett. 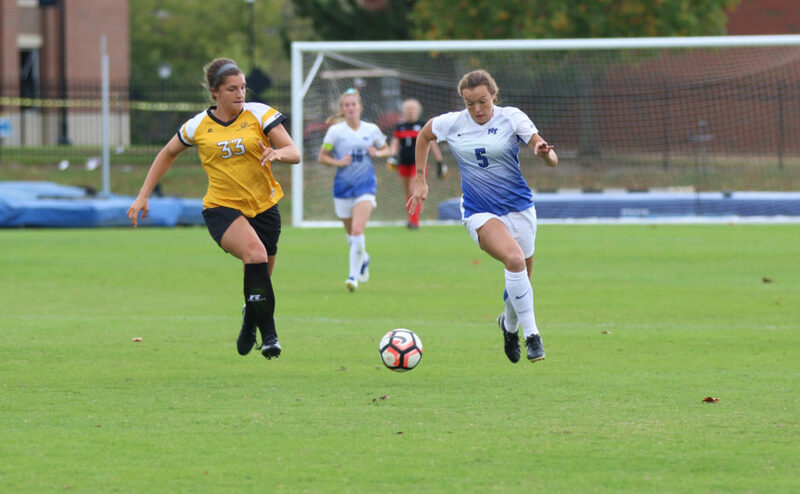 DePriest and Tillet have become quite the pair this season as great scorers for the Blue Raiders, with both of them having a total of 16 goals this season. 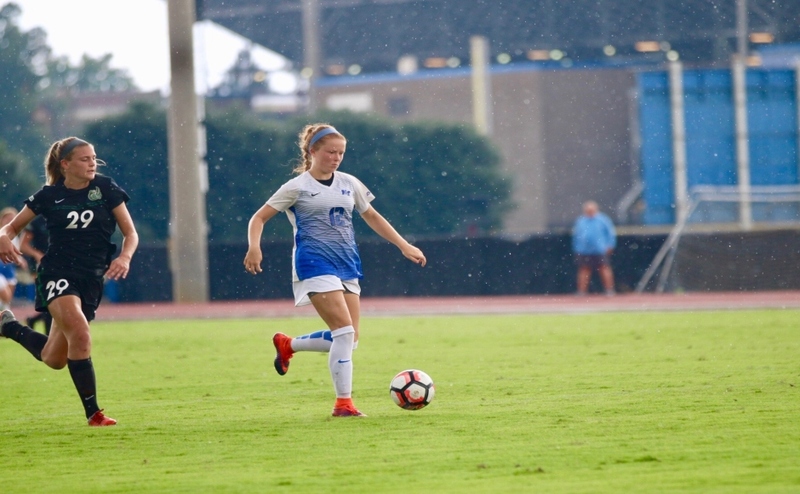 The Blue Raiders have a bright future ahead, with Tillet being a freshman and DePriest as a sophomore. The Blue Raiders will coming back home to play two big games on Friday and Sunday. On Friday they play the Old Dominion Monarchs at 7 p.m., and on Sunday they play the Charlotte 49ers at 1 p.m.